The beta test for the PS3 versions of Dark Souls II was planned to take place last Sunday, October 27th. Unfortunately, players from North and South America were unable to log into the servers for that test. Happily, Namco Bandai has rescheduled the beta test for November 9th and 10th. Players who had a slot in the unsuccessful beta test still have a secured slot for the new November beta test. In addition to those players, some new players who didn't have a slot for the last test are being admitted as well. Namco Bandai posted a PSN code (38QQ-8DNE-97AA) to download the test client on a first-come, first-served basis; however, it looks like the test is now full. We went hands-on with Dark Souls II at E3 2013 and were quite impressed with what we saw. 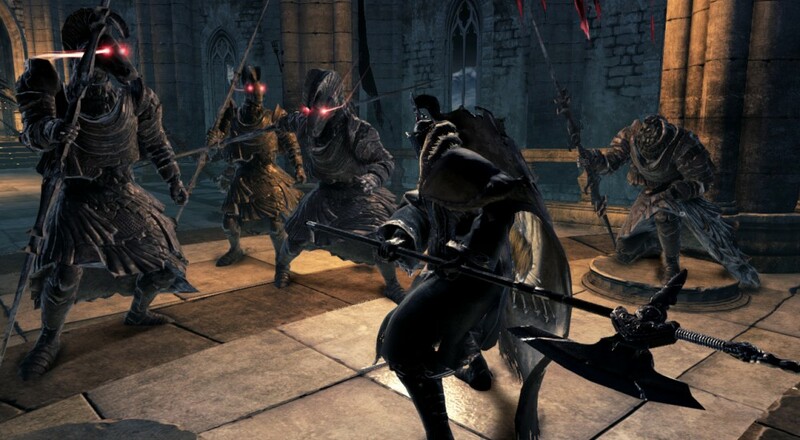 Dark Souls II officially launches with 3-player online co-op on March 11th, 2014 for the Xbox 360 and PS3. A PC version is planned as well, but the release date is currently unannounced. Are any of you planning to participate in the PS3 beta test? Are you excited? Page created in 0.3281 seconds.